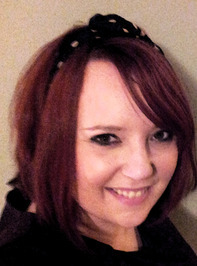 Samantha Young is a 25 year old writer who resides in her home county of Stirlingshire, Scotland. She is a self-proclaimed book addict and kindle junkie, using fantasy, dystopian, sci-fi and paranormal novels to feed her addiction. After graduating from the University of Edinburgh with a degree in ancient and medieval history, Samantha returned to her main passion, writing, and often incorporates history and mythology into her novels. Samantha's first release, The Tale of Lunarmorte trilogy, was followed by a second series titled Warriors of Ankh. At present, she is a full-time writer working on a number of projects for near future release. She is the author of eight novels and one novella. Her young adult paranormal series' are amazon bestselling novels. Today I get to interview Samantha Young! You have no doubt seen her books before on other blogs, as they're very popular around the blogosphere. Enjoy the interview! 1.You’ve written several series of books in the span of only a few years, which is absolutely amazing. What’s your written schedule like? How quickly can you write the first draft of a novel? I can write a first draft fairly quickly - between 4-6 weeks - as long as my planning is comprehensive, which it usually is. I find if I have all my character histories written and chapter summaries written out for the entire book that I can write up the first draft and only have proofreading and basic editing issues to deal with in the next drafts. 2. What is your biggest source of inspiration for your novels? My biggest source of inspiration… I’d have to say it’s a mix between music and history. A line in a song or even the feel of a song, its concept, its story, can spark characters and dialogue. And history is a huge source of inspiration for me. I love pulling from real history and mythology and twisting it to fit my imagination and plots. 3. Do you like to write with an outline, or without one? I definitely write with a very full outline. I’ve tried starting a book without a plan before and I just can’t work that way. The plot unraveled quickly and my characters ended up with personality disorders, contradicting themselves from one chapter to the next. 4. If you could be one of your characters, which one would you be and why? If I could be any one of my characters I think I’d be Jaeden Rodriguez from the Lunarmorte books. She’s got her own really cool powers but without the massive responsibility that the heroine, Caia, has. Plus, I love Jae’s relationship with Ryder. They’re so fun together. Now for the fun questions! 5. Imagine you worked for the circus. What is your act? I love this question! I would be the ringmaster because in a way he’s a storyteller too. He guides the audience through the various acts and has a lot of creative control over how the show is produced. Plus… I love the tophat and coat tails! 6. If Hollywood made a movie about your life, what actress would you like to be casted to play you? I'd LOVE to read Slumber! All the books sound awesome! I haven't read anything from this author yet. But Slumber sounds amazing! Samantha has created the most incredible YA fantasy worlds and characters. Finding her stories on Amazon was the epitome of serendipity =] Owning a copy of Slumber would enhance my fantasy shelf unbelievably! I'm a huge fan of Samantha Young. Outside of loveloveloving her writing style and how well she can weave a story for you, I love her way with her fans. She's very active on Facebook, her blog, and over at GoodReads. She talks to her fans, makes us feel connected, and gives everyone insight into her mind. It's a deeper connection with not only her, but with the characters. She's one of my all time favorite writers now! And such an inspiration! I have both Smokeless Fire and Blood Will Tell waiting for me on the kindle. I will be definitely reading those soon. I know I will love both books. After those I'm sure I will be reading more of Samantha Young's books. I have yet to read any books by Samantha Young but I have heard great things about her books and I am looking forward to reading them sometime in the future! Thanks for the giveaway! I am a huge fan of Sam and all her works! Slumber was a fast favorite though with each new book I find a new favorite. Smokeless Fire was amazing. I would be thrilled to have both signed! And I'm so excited for Scorched Skies! And I have to agree, Jae and Ryder are fantastic together! Rock on my fave raconteur! I read the Warriors of Ankh series and I absolutely loved each book. Eden is a tough girl through and through and she made the series fun and action packed! Yes, I have! I just finished the Tale of Lunarmorte series recently and I am SOOOOO in love with it! Everything about it floated my boat PERFECTLY! Eeep! I've read all of Samantha's books and I am totally addicted. I can wait for the sequel to smokeless fire to come out, I'm on pins and needles in anticipation! I would like to thank Samantha for being such a fantastic writer. I haveread all OF Samantha's books and I love them all. I cant wait until more come out. I get so mesmerized in her words and with her characters. I have not had the pleasure of reading any of her work yet but i have quite a few of her books on my wish list on both Amazon and Goodreads so i look forward to being able to read them! I have heard of her work!! I have read all of them except for the Drip Drop Teardrop novella! My favorite was probably the The Tale of Lunarmorte series. I really liked all of them and would highly recommend them. Thanks for a chance to win! I haven't read any of her books yet but I'm looking forward to both of these. Thanks for hosting this giveaway. I have read all her works, but slumber. I love all her stuff. Its great! Slumber was awesome. I can't wait for the next book in the series. I read Samantha's Warriors of Ankh series and they were wonderful! I havent read any of Samanthas books yet, however I am interested in reading them all so far they seem like they would be very good books! I havent read any of her work :( But Smokeless Fire sounds really good! I haven't read her yet but Slumber sounds really good! Her books look AMAZING! I like the look of Slumber! I haven't read any of her books, but they all look really great. I actually have Blood Will Tell for my Kindle, but I am most fascinated by Slumber. I have read Drip, Drop, Tear Drop and LOVED it! I havent read any yet but I would love to. Ive heard good things about her books. Thank you for taking the time to do this giveaway :) I have not read any of her books but the Warriors of Ankh series looks awesome!! I love Slumber, and I'd love to have a physical copy of it on my shelf to reread! :) Thanks so much for this giveaway! I definitely want to read Smokeless Fire. It sounds great! I haven't yet but I would really like to. I have loved everything I have read by Samantha Young. One of my new favorites. I have read all her books as far as I know apart from the Drip Drop Teardrop novella, which is in my to-read :).The first ones I read, (and got me hooked) is my all time favourite, the The Tale of Lunarmorte series. But I really liked all of them and have them all on Kindle at the moment, would really love to own them all some day. Thanks for the give away! I have read everyone of her books and have loved them all! I think that my all time favorite would have to be Slumber or the Fire Spirits! She is such an amazing author! Thank you for the giveaway!